I’m always on the lookout for quality digital resources, especially when it comes to games for kids. Recently I came across this great one from the folks over at SimplyYouthMinistry.com called Spin that Wheel. It’s a customizable prize wheel. It’s great for prizes or challenges. It can really help add some fun to your up front group games. Spin That Wheel is a rockin large group interactive game. 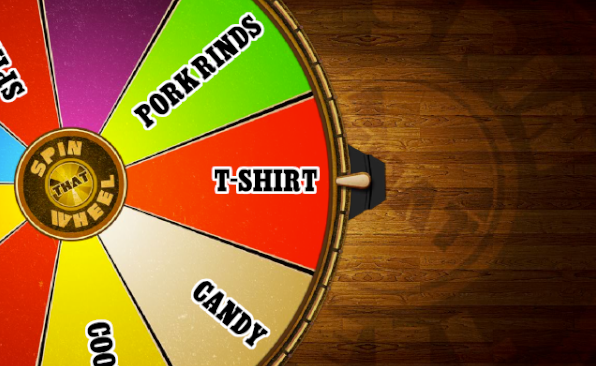 As a stand alone application, the software allows you to add up to 15 custom prizes to the wheel, then spin it to see what you get! (Wow, I just won a bag of Pork Rinds*) It has a random winner every time. Find yourself a great host, a really bad outfit, and you are in for a great night. *Prizes not included. I’ve bought and used their products for my children’s ministry in the past. They do great work and all their stuff is super reliable. One of the things that I love about this particular resource is how fun and digitally based it is. This is something that will add a HUGE element of cool to any game/prize time that you have during your programs and events. What resources/tips have you used to make games “funner” and cooler in your children’s ministry? Post them in the comment section. PS: I was NOT supplied with a free copy of this resource or asked/paid by anyone to give a review of it. I saw it, I liked it, and wanted to pass it on to you. Hope it’s helpful.